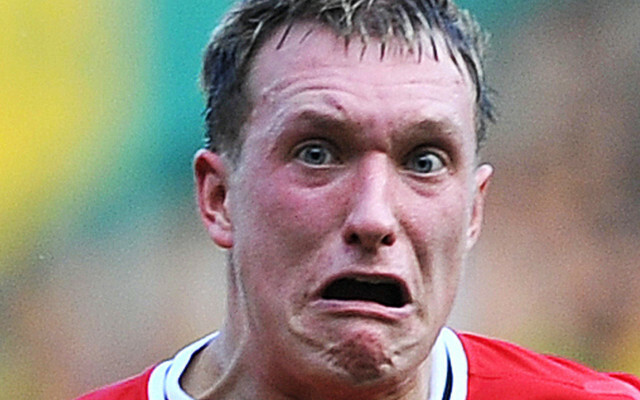 Man Utd defender Phil Jones has admitted that his own mates even troll him over his now infamous facial expressions on the pitch. The 27-year-old has enjoyed a successful career at Old Trafford, but for all his hard work on and off the pitch, his priceless expressions have undoubtedly gained significant attention over the years. As seen in the video below, there have been some truly memorable ones during his stint with the Red Devils, and Jones has revealed that his own mates mock him over them in their WhatsApp group to rub more salt into the wounds. “It’s banter, my mates banter me all the time about it,” he told Goal.com in an interview. Jones went on to add that ultimately he’s happy with what he’s achieved in his career so far and has now signed a contract extension at Man Utd so he doesn’t pay much interest in criticism that comes his way. As long as he continues to do the business with these facial expressions, we’ll all be happy to see him continue to play at the highest level for a few more years. Happy 25th Birthday Phil Jones!